Bright, fashionable and great for layering! 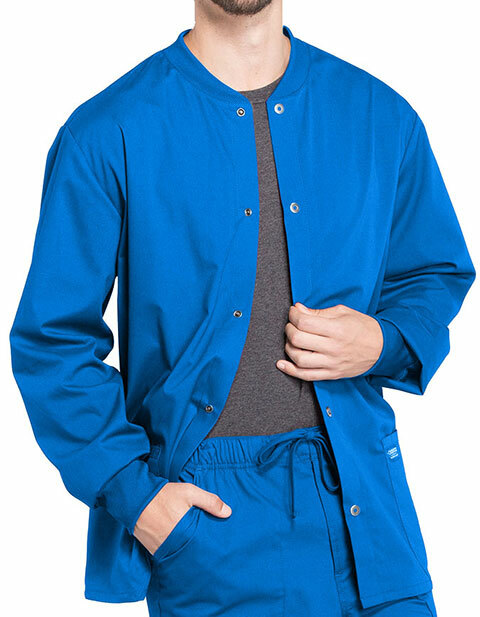 Professionals by Cherokee Workwear brings men's snap front warm-up solid scrub jacket that is an epitome of style and comfort. 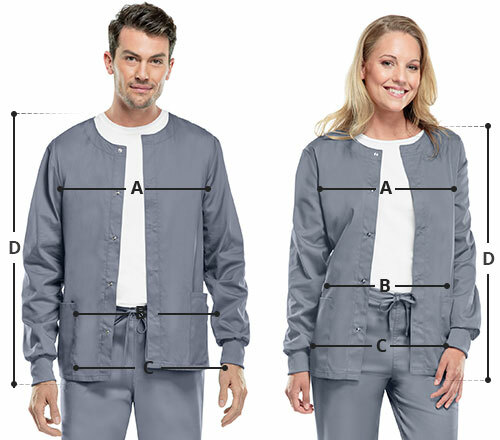 With knit cuffs, jewel neckline and side vents at hem, you are bound to enjoy comfort all day.